KRK's Rokit 5 G3 powered studio monitors offer professional performance and accuracy for recording, mixing, mastering and playback. Considering purchasing the KRK Rokit RP5 G3? Have questions? Ask people who've recently bought one. Can u connect these speakers to the ps4? can i connect this straight to my laptop. Do you own the KRK Rokit RP5 G3? Why not write a review based on your experience with it. Bought this speaker to use as a monitor for djing. Very clear sound and great base. It feels nice and heavy and well built. I would definitely recommend this speaker to use in the bedroom or on the road. Great service as usual from DJ Kit, deliveries and tracking are always spot on. Very good speaker. At first it didn't work but after an email the problem was resolved with me getting a brand new one that is perfect. These speakers were everything I wanted out of a pair of home studio monitors. They have crystal clear sound, and are perfect in my workspace. I was debating between these and the 8's, and I'm glad I went with these because the 8's would've been GINORMOUS and way too much for what I needed them for. I tested the sound when I got them, and there is no crackling/wavering at all! These are perfect. Really impressed with the krk rokit 5, the sound is quality throughout, highly recommended. Very good speakers. These create amazing sound quality even at when loud. I use these to practice with my XDJ RX2 and they work a treat. The XLR in is a real added bonus. Perfect sound quality for at home or using as a monitor. They look really good the yellow cones stand out and are instantly recognisable as KRK. The build quality is fantastic they are very heavy and have isolation pads on the bottom. They sound really good and the inputs mean no matter what I am using I can connect it. 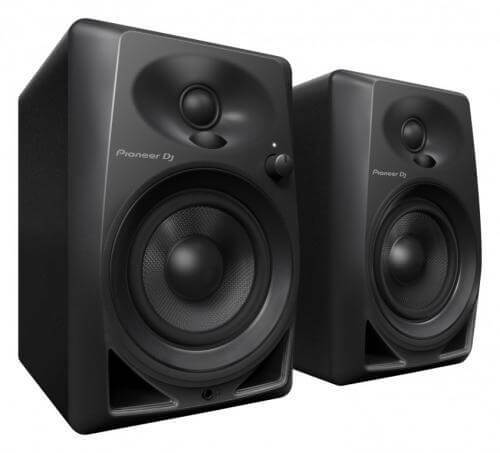 I use them as monitors for my dj setup and they do the job perfectly. Excellent speakers that pack a punch , can't fault them ! Used in the house a few times but also used whilst performing I am very impressed with this kit. Amazing quality speakers, well worth the money! Quick delivery and very loud for its size ! I haven't tried every moniter on the market so I can't compare the qualities of this speaker to others, but I must say the quality of sound is high & it seems to play all genres well (I tend to listen to dance music & this is also fine). The only issue I have is a very quiet popping noise when no sound is played through them. I did not notice this at first, so it may be of my own doing but I would say I couldn't have damaged the speakers through 'blasting them' as I listen to music from quiet to moderate levels, regardless this popping is only audible when I put my ear right up to the individual speaker & it can't be heard when music is played through them. I would recommend these speaker to anyone who wishes to have a really good quality set of speakers at an affordable price. Perfect bedroom monitors. Doesn't bring the house down but has sufficient bass and clarity. these speakers are awesome. should have invested in them sooner. The price of these monitors are great for value and if you buy them I can assure you that you won't be disappointed! Very good speakers, crisp sound. Can be fatiguing to the ears after long use, however, the quality of these speakers is top notch, very loud (far louder than I need them to be) without loosing any quality, when plugged in but not in use they do however make a very, very mild humming noise, but this can be easily avoided by turning them off when not in use. Overall I would recommend. 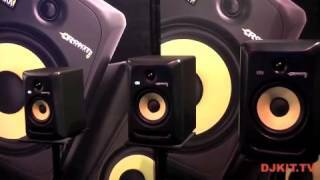 Seen a video for KRK Rokit RP5 G3 online or have you own video? 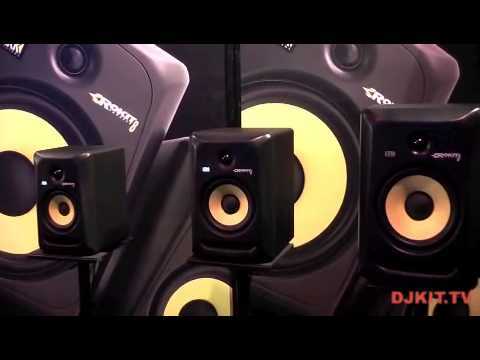 Check out KRK Rokit RP5 G3 on DJkit.com!